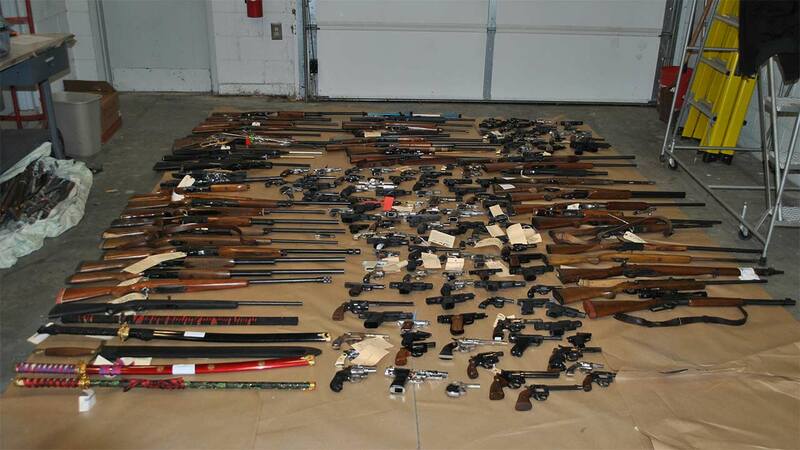 ABINGTON, Pa. (WPVI) -- Abington police say 185 guns, that had accumulated in evidence storage for years, have been destroyed. The guns date back to 1998, police say, and included weapons that had been surrendered for disposal or could not be returned to a qualified owner. Police said on Wednesday that the guns were taken to a foundry on January 26 and put through a shredding process. Then remnants were then melted in a furnace.